It’s not too late to make a real difference in a loved ones life. 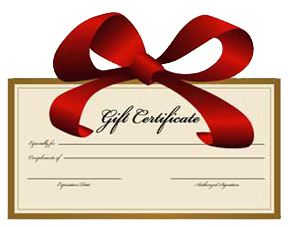 Call or email me today about giving a Gift Certificate for Personal Training (sessions or personalized programs) , Fitness Consulting, Supplements or Home Fitness Training. This entry was posted in Personal Training, Supplements. Bookmark the permalink.